There are few people in the history of caravanning that have had as much influence on our pastime as John and Peter Darlington – the two brothers who ran Millard Caravans through its heyday years. And there are few products that have been so enduring as the Millard, versions of which are still plying our highways, decorating our back paddocks or minding spots at our favourite coastal caravan park. Millard vans have found their way into nearly all aspects of popular culture and its products have played a tremendous part in shaping how we use caravans today. 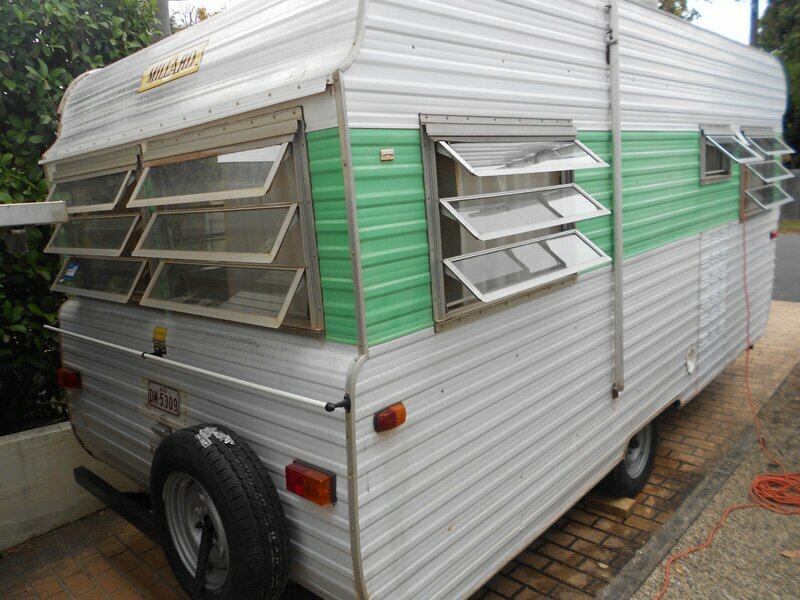 Like so many of its contemporaries, Millard had a humble start in the late 1940s when Jim Darlington looked at the US trailer (that’s American for caravan) lifestyle and guessed it had a future in Australia (boy was he right!). He started building a small amount of vans from a tiny factory in Mortlake in Sydney’s inner-west, but in less than a decade had outgrown the site and so moved to a bigger factory on Wicks Road in North Ryde. It was around this time that Jim was joined by his eldest son – John – who allegedly saw caravans being built by Caravilla Caravans while he was painting their factory and thought he could do it better. Not long after, Jim’s youngest son, Peter, joined the business as an apprentice, eventually working his way to production manager, the position he held when the company was eventually sold to Viscount in 1979. 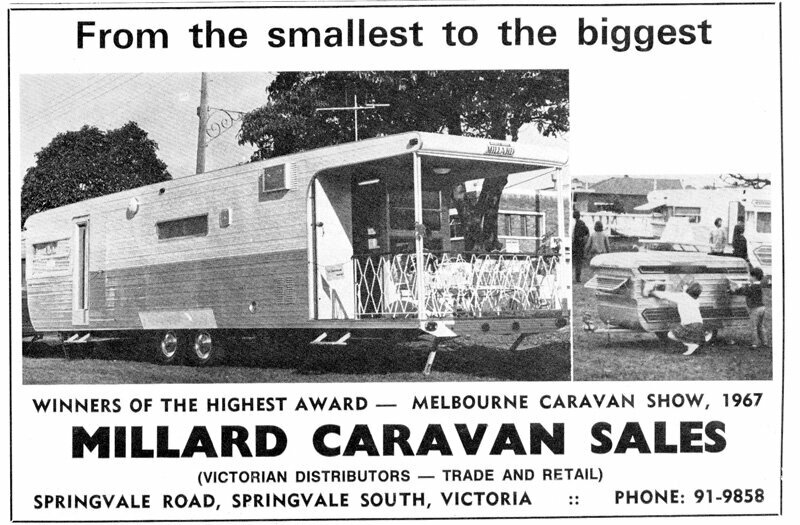 Those twenty-five years under John and Peter’s leadership were phenomenal for Millard, which established itself as the second largest manufacturer of caravans in Australia. Bruce Binns, who has spent more than 50 years in the industry as owner of the RV manufacturing giant, Avida (formerly Winnebago and Freeway), remembers John as an astute business person, and actually worked for Millard briefly before starting Freeway in the early 1960s. “It’s a shame that no one went and got the history from all those fellas – John Darlington and John Carr (of Viscount) and Robbo (Geoffrey Robertson, founder of Franklin) in Melbourne and so forth. Most of them have passed away now and it’s difficult to get that history,” laments Bruce. 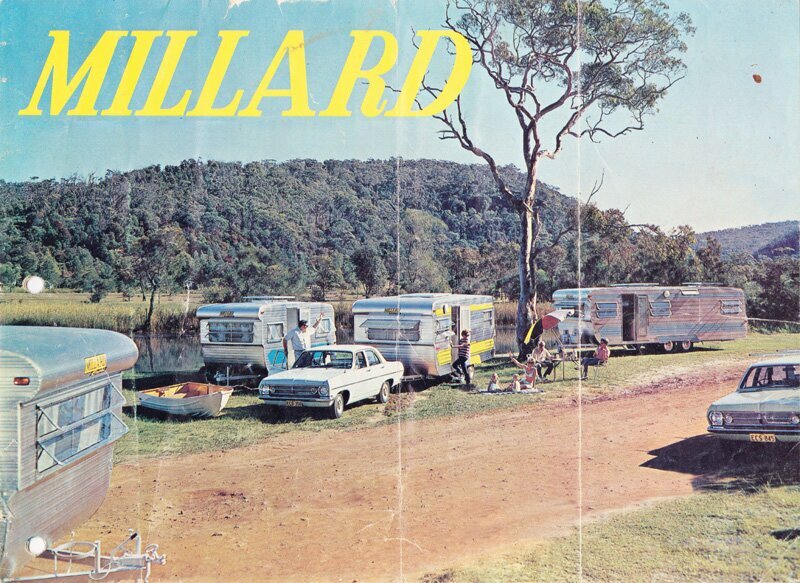 Millard is one of those ‘right place, right time’ success stories, and the manufacturer was embraced by the Australian public when caravanning and road travel was the ticket to freedom people were looking for as Australia’s fortunes grew. As industry stalwart, Ron Chapman recalls, “Back in those days Millard was part of the ‘big five’. That was Viscount, Millard, Franklin, Chesney and Coronet. They were the big five manufacturers in Australia, and when I say big, all of them were making over 100 caravans a week – some a lot more than 100. In a video-recorded interview with Gary Burnham, who was the General Manager of Millard during the 70s, he recalls the company building 74 caravans in single day. “If you can imagine standing at 6:30 in the morning and looking at a raw chassis and at 4:30 in the afternoon, that chassis was a complete caravan,” he tells the interviewer. One of the company’s biggest feats was transporting 63 Millard caravans across Australia by train with 500 yards of carriages. According to reports, John Darlington would have liked to send an extra 35, but the NSW rail authority didn’t have enough carriages spare. As the story goes, June was never all that happy with the way caravan interiors were designed by men, so took it on herself to add a feminine touch. Her touch worked wonders, as we now see. Millard also manufactured a range of more basic caravans under the York name, between 1969 and 1979. Set up as a lower-specced van than the more up-market Millard, York carved a niche in the market and proved a business model that many copied over the following decades. But Millard’s fortunes didn’t last for ever and it was more bad luck, rather than bad management, that forced the Darlingtons to sell their assets to Viscount in 1979. At the time, the two companies were so big that the government reviewed the proposed merger, before approving it. Again, according to Gary Burnham, the caravan market dropped out from underneath Millard almost overnight. 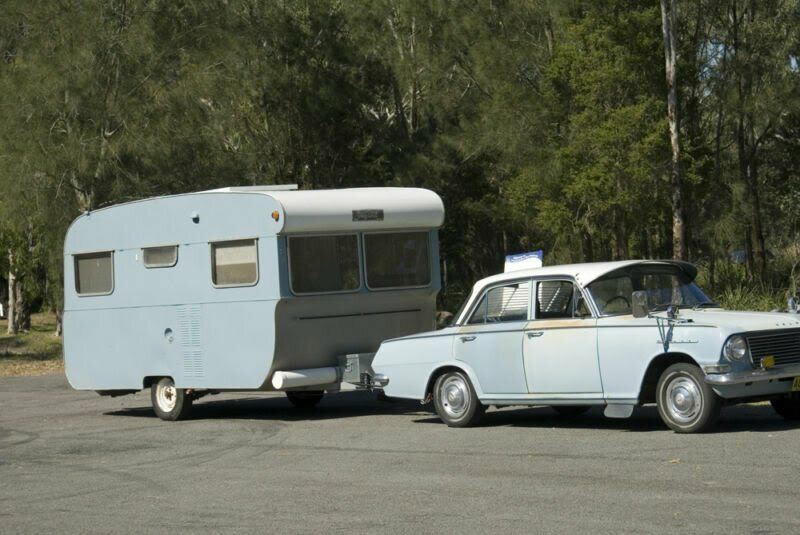 Alongside the petrol shortage of the late seventies, and sky-rocketing petrol prices, Austrailians were in no mood to buy big cars and tow caravans. 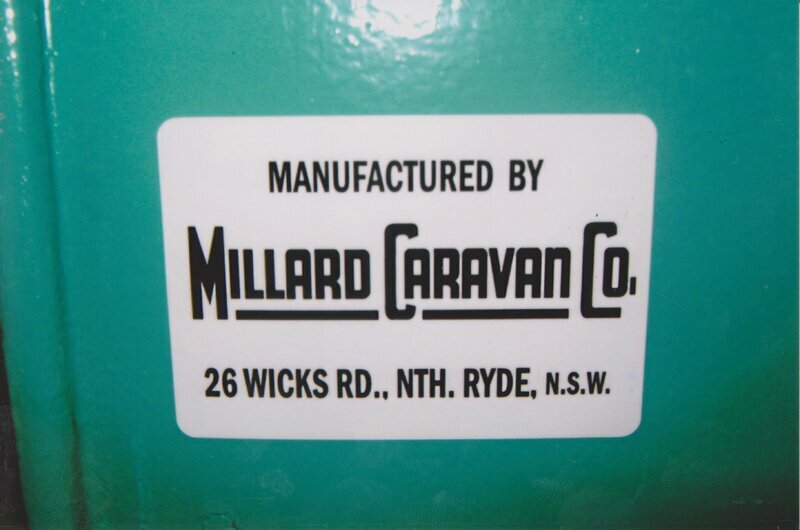 At this point, Millard Caravans had over 300 vans in storage at their factory. At the same time, a giant hailstorm hit Sydney, damaging hundreds of units which had to be basically rebuilt. The financial burdon was just too much for the company – and it was only because John Carr swooped in and saved it, that Millard still exists today. Peter started his own business manufacturing manufactured homes on the central coast, but did eventually find his way back into the caravan industry, selling a small amount of vans under the York name in the early 2000s. Of course, Viscount’s fortunes eventually ran out, and when the business was sold to the Gazal family, Millard went with it. When Viscount finally ran out of steam, the Millard name was saved by Gary Willer and the late Stan Edwards (Stan’s sons, Steve and Michael run the Paravans Caravan World dealerships in Windsor and Newcastle, NSW) who bought the manufacturing assets of the Gazal family, and were given the name by the Darlingtons. 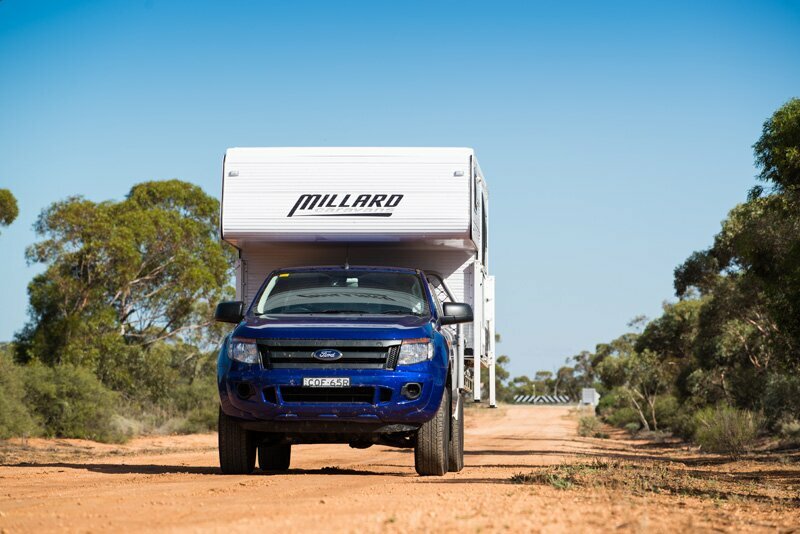 Today, Millard is a boutique custom manufacturer of caravans and tray-back campers from its factory in Ingleburn, NSW. Instead of mass producing caravans for a ravenous buying market, the modern Millard builds a premium product, much of which has an off-road, or semi off-road bias that it can tailor to the needs of those who buy it. The company manufactures its own chassis and even rolls its own cladding. Significantly, Millard is one of the longest enduring names in the industry. 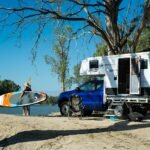 It’s had it’s ups and downs, and changed face a time or two, but still goes about delivering good quality caravans to Australian travellers and likely will for many more years to come. 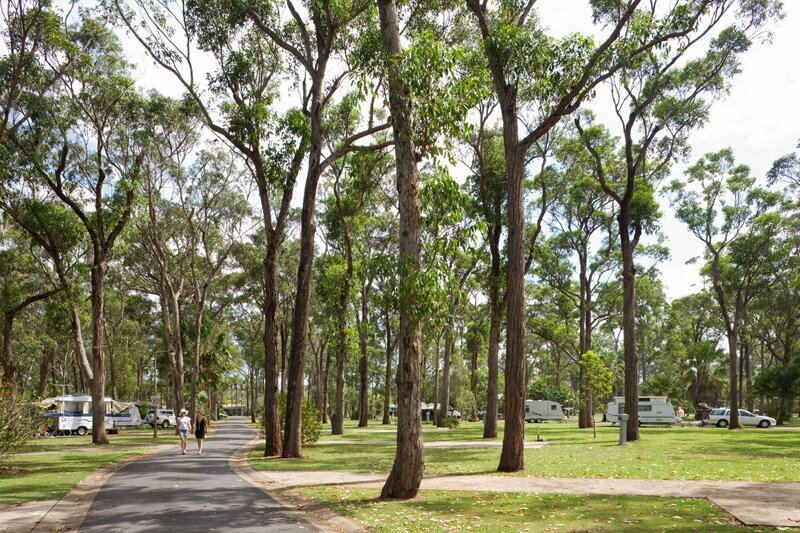 Love reading about the history of caravanning in Australia? 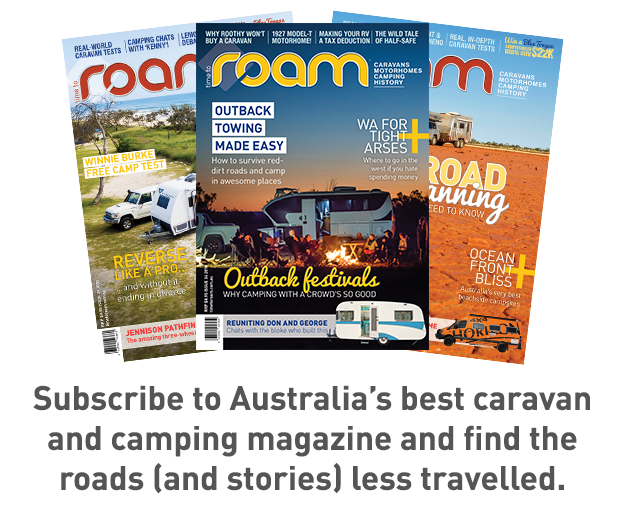 Subscribe to ROAM for your regular dose. Do you own an old or new Millard Caravan? Tell us about it in the comments below. We own a 20′ 2015 Millard Longreach Seabreeze caravan, full off-road with independent suspension. Perfect caravan, tows like a breeze and we love it. Aussie made. Couldn’t ask for anything better. And we haven’t seen anything we like better than ours. Its horses for courses though. One very happy cuustomer. ? Hi we just brought a 1960s Millard Florida. Was hoping someone could give us info re the chassis number to confirm the year it was made, so we start the registering process?